With Obamacare repeal efforts by Republicans dormant for now, there's lots of hopeful talk about how the Trump administration and bipartisan groups in Congress may push to fix problems with the Affordable Care Act. Experts have ideas about what can be done to stabilize the ACA's individual insurance markets and enable states to better control Medicaid costs. These include steps to encourage more young, healthy people to sign up for insurance, while discouraging people from enrolling only when they need medical care, then dropping coverage. But experts also have emphatic ideas about what not to do, including using reckless rhetoric about letting the insurance markets collapse, and making piecemeal changes without carefully considering corollary effects on the complex, inter-related healthcare system. Sharp disagreement about the right and wrong ways to improve the ACA-based system likely will block corrective action from gaining traction any time soon. One target for the would-be bipartisan reform camp is the ACA's taxes on health insurance premiums, medical devices, high-value employer health plans and branded prescription drugs. It's easy to imagine Republicans and Democrats, backed by a wide range of eager healthcare stakeholder groups, uniting to repeal some or all of those taxes, which they argue increase premiums and medical costs. Those levies, however, provide funding for the ACA's coverage and benefit expansions. Once you pull one thread of the ACA's financing, the whole ball of yarn could unravel, because every interest group would demand its fair share of the returned booty. Then the hospital industry likely would insist on a return of its contribution, in the form of repealing the law's Medicare payment cuts. That's a definite danger, said Dr. J. Mario Molina, CEO of Molina Healthcare, which offers individual-market and Medicaid plans in a number of states and who strongly favors bipartisan fixes to the law. Another no-no is continued inaction by the Trump administration and Congress on funding payments to insurers for the ACA's required cost-sharing reductions for low-income exchange plan members. Insurers have to decide within the next two months whether to offer individual-market plans for 2018 and where to set premiums. Carriers say they need to know now whether congressional Republicans, who sued successfully in federal court to block those payments, will appropriate the billions in funding – or whether the Trump administration will fight in a federal appeals court to overturn the lower court ruling siding with the GOP plaintiffs. “Ending the cost-sharing reductions would certainly cause us to pause and evaluate what we're comfortable offering in the market,” said Chris Fanning, chief marketing officer at Geisinger Health Plan in Pennsylvania, which otherwise intends to continue selling individual-market plans both on- and off-exchange in 2018. Beyond his words, there are fears Price will weaken the ACA's requirement that nearly everyone buy insurance by loosening the so-called hardship exemptions. That could undermine the individual market by leading to fewer younger, healthier people buying coverage. Insurers like Molina say the individual mandate remains necessary. 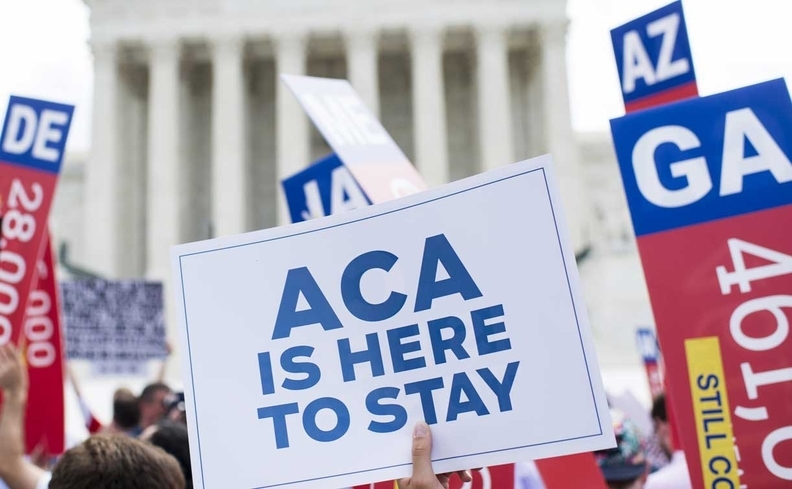 “Deprioritizing enforcement of the individual mandate might be politically popular but would not work to stabilize the market,” said Cynthia Cox, associate director for health reform at the Kaiser Family Foundation. Price also has indicated he wants to give states more leeway to impose new conditions for low-income adults to receive Medicaid under the ACA's coverage expansion, such as requirements for premium payments, work activities and wellness behaviors. That could encourage more Republican-led states to expand Medicaid with these conservative-friendly features. But studies have found that such requirements significantly reduce Medicaid enrollment, which in turn could raise costs in states' individual insurance markets. “If we put in a work requirement and someone can't get a job and can't get insurance from Medicaid, society has to pay for their uncompensated care,” Garthwaite said. Calls for bipartisan action to stabilize premiums and keep insurers in the market are mounting. But these examples illustrate there may not be all that much actual agreement between Republicans and Democrats on what would work and what would be desirable. Republicans are likely to insist on provisions that are unacceptable to Democrats as part of any deal, such as caps on federal Medicaid spending. Democrats are likely to demand billions in additional subsidies to make coverage more affordable, which Republicans will find objectionable. That takes us back to the same gridlock that led to the failed Republican bill last week. “The reality is we won't see a ton getting done now,” Garthwaite predicted.